When household appliances randomly stop working, it can be frustrating. Whether it’s due to mechanical failure, human error, or just plain dirtiness, fixing and buying a new appliance can sometimes be out of budget. One of the most irritating of cases occurs when your clothes begin to smell like mildew after washing them. 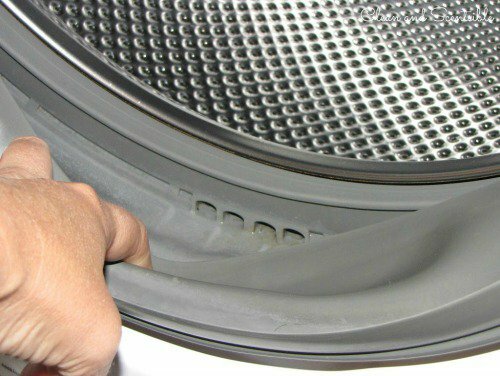 Luckily for us, there is an easy trick to get rid of all the unreachable dirt and grime on your washing machine that’s producing the terrible smell. Typically, cleaning out a washing machine requires a call to a service center that then sends someone to your home to pull apart your entire machine. 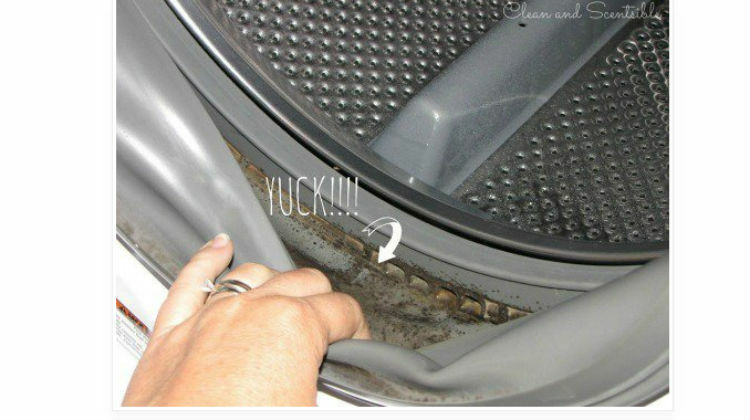 A lot of people just avoid this and end up buying a new washer instead of going through all the hassle. 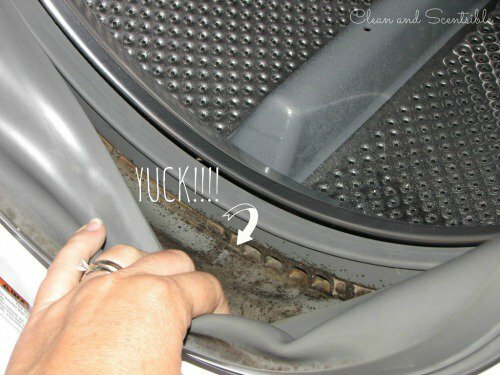 But now you can clean your washer to look just like new again, and all you need is Clorox bleach and 16 ounces of white vinegar! To warn you, make sure you never use these two chemicals together. They are incredibly poisonous and toxic. In this process, you will use one, then the other during a second cycle. 1. Start by mixing the bleach with an equivalent amount of warm water. 2. Wipe down all accessible areas with a towel soaked in the mixture, including the rubber sealing. 3. For the hard to scrub areas, let the soaked towel sit on top of the area for 30 minutes. The bleach will kill any mildew. 4. Once you’re done scrubbing, run the machine on the hottest cycle to wash out the bleach. Make sure the machine is empty. 5. After the first cycle is complete, add the 16 ounces of vinegar, keeping the washer set to the highest possible temperature, and run a second cycle. 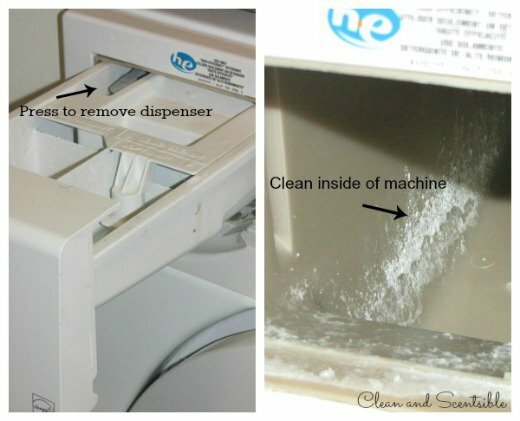 Finally, your washing machine should be clean, functional, and mildew free, with little to no cost to you!